At City Orthodontics, we believe everyone deserves a beautiful, healthy smile they can feel proud of in any situation. That’s why we strive to make high-quality orthodontic treatment as convenient as possible for patients throughout the Greater Toronto Area. We offer a wide range of treatment options to suit each patient’s unique orthodontic needs and lifestyle. While braces are still the most popular form of treatment we offer, there’s an alternative that’s quickly gaining popularity for the unique advantages it offers patients: Invisalign. 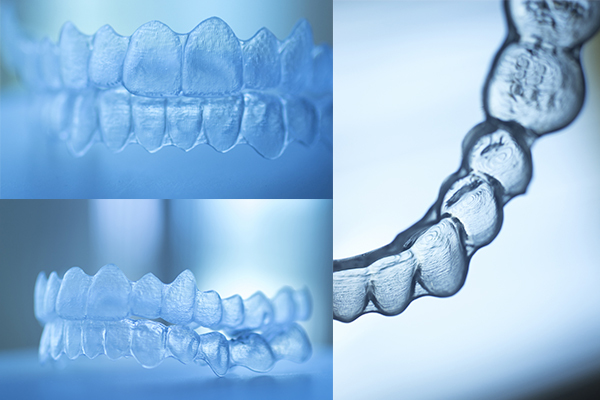 Invisalign is a revolutionary orthodontic treatment that does away with the wires, brackets, and bands of braces entirely, instead using a series of clear, removable plastic trays – called aligners – to straighten teeth. The aligners fit directly onto the dental arch, giving them a low profile, and they blend in with teeth to be virtually invisible when worn, so almost no one will know you’re straightening your teeth. Furthermore, the aligners are easy to pop in and out to eat, drink, brush, and floss, letting you to enjoy your favorite foods and making oral hygiene as easy as ever! During your initial evaluation, we’ll perform a comprehensive exam of your mouth and use specialized 3D computer imaging technology to create a fully realized computer model of your bite. Using this model and the information we gather at your examination, we’ll form a diagnosis of your orthodontic situation. We’ll break this plan into two-week increments, then have Invisalign custom-manufacture your own set of aligners to fit your unique bite. Once you receive your aligners, you’ll wear each for about 2 weeks for 20-22 hours per day, removing them only to eat, drink, brush, and floss. Historically, orthodontists have used dental putty to make impressions: physical models of your teeth and bite. Impressions are useful, but they have their limitations, and making them requires patients to sit with an uncomfortable putty in their mouths for up to 10 minutes. Instead of traditional impressions, we’re proud users of iTero digital scanners in our office. iTero uses advanced optical imaging technology to create a fully-realized 3D computer model of a patient’s bite, one that can be manipulated and operated on to simulate tooth movement and create a more precise treatment than ever. 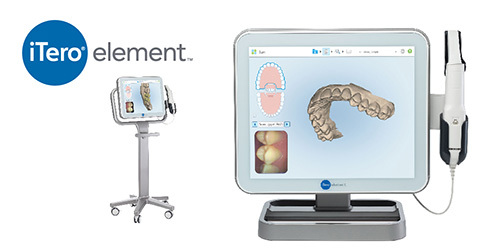 Plus, with iTero, the entire scanning process simply involves waving a wand inside the mouth to scan the teeth. It takes mere minutes, and there’s no messy putty involved! There’s no better investment than a new smile, and if you’re ready for one of your own, Invisalign may be able to help. To find out if Invisalign is right for your or explore other options for orthodontic treatment, we encourage you to call us at 416.222.3223, reach out to us at our contact page, or request a consultation at our Toronto office by clicking the button at the top right of this page. We’re excited to hear from you, and we look forward to helping you revitalize your smile and your life with orthodontic treatment!